Natasha and Muizz Celebrated their Love at Whistle Bear Golf Club, with Family & Friends on the evening of August 19th 2018. 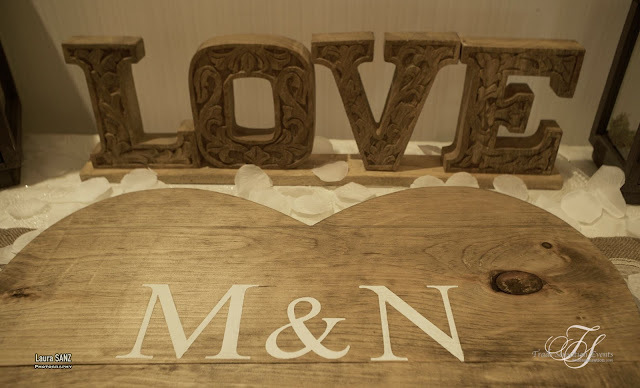 Their Special Day featured a Nikkah Ceremony and a Beautiful and Unique Rustic Wedding Reception filled with Wooden Elements and Decor, including their Wooden Heart Block for Guests to sign and wish sweet messages to the Bride & Groom. The decor also included Rustic Lanterns, Floating Candles and Lace. Trade Sensation was honoured and thrilled to be apart of Natasha & Muizz's Wedding Day, with Wedding Coordination and DIY Decor Execution.